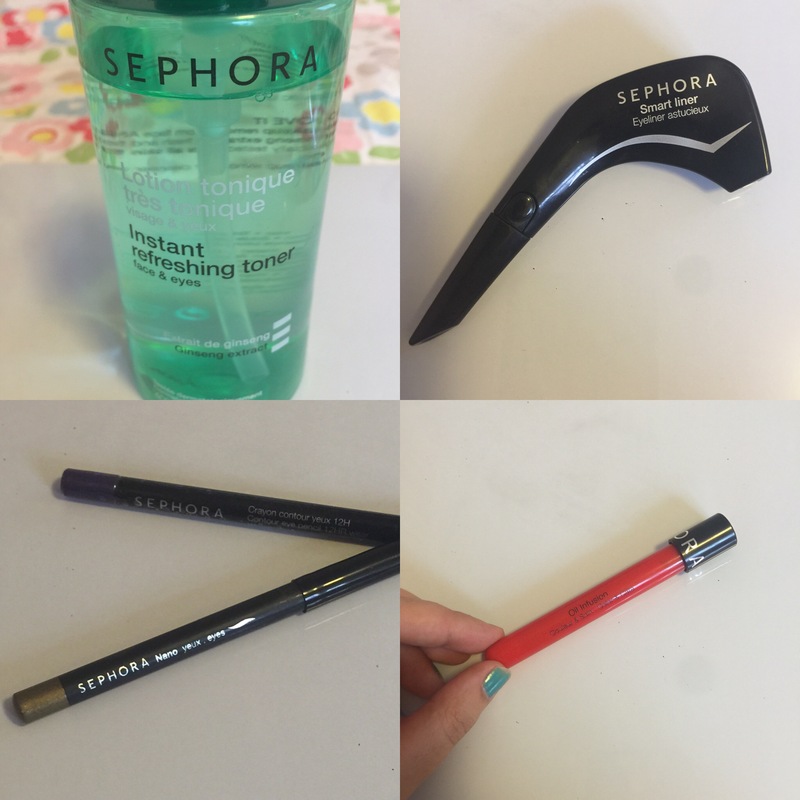 Uhoh, I’m straying into beauty posts…. I’m a bit obsessed with the smell of this, and it seems to be keeping my skin bright, whilst getting the last bits off my makeup. I was a bit disappointed to find the bottle I bought came without a little spray, which was replaced by a slightly impractical pump, but hey – the stuff’s good! Plus, it’s parabens free. What more could I want? I am rubbish at doing my eyeliner, but the shape of this makes it much easier to get an even line. Plus, it stays on for most of the day!Top marks, Sephora! My least favourite purchase – I love the colour of it when it’s on, and it does seem to last but it just doesn’t go on smoothly or easily, making it harder to get an even line on both eyes. I haven’t tried blending it out yet though, so perhaps that will improve things! From my least favourite to my favourite – this went on really smoothly, and the colour is bright as a bold line and blends out nicely for a more subtle, smoky effect. Unfortunately I managed to drop this one, so the pencil itself is broken inside, but it’s working for now! I’m still keeping my fingers crossed for Sephora to make a return to the UK. One day…. *This toner seems to have vanished from Sephora’s website…here’s hoping it hasn’t been discontinued!